I hope that all of you wonderful readers are ok with a serious increase in recipes for the grill now that Summer is fast approaching. Once the weather warms up, my husband is just itching to get out on the deck and grill us up some delicious food. And I am more than happy to oblige! 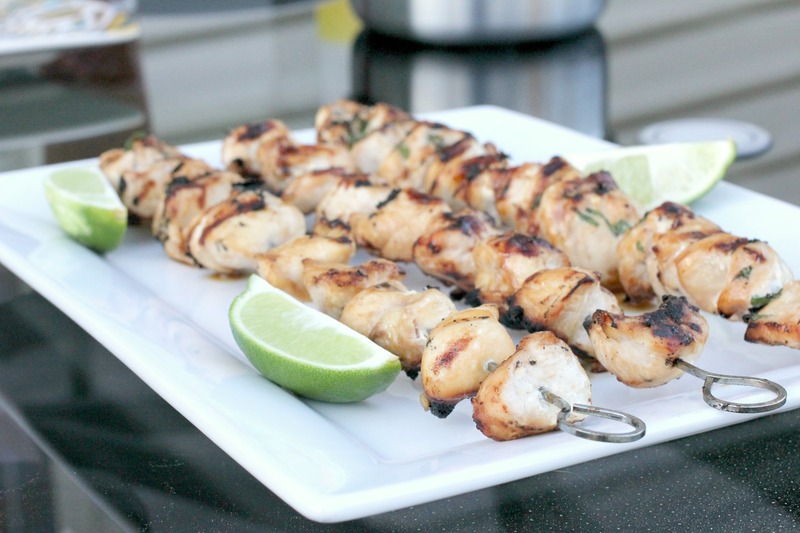 The result is lots of tasty recipes for you, albeit with a noticeable trend of them being cooked on the grill. Don’t worry, I’ll still post non-grilled recipes too for those of you that don’t get to enjoy having your own outdoor grill! This Key West Grilled Chicken. 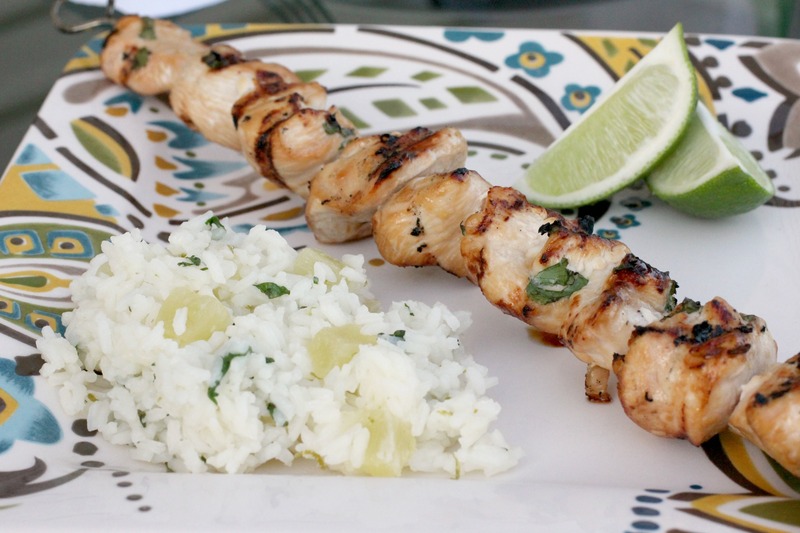 with its lime and cilantro flavors would be perfect for Cinco de Mayo! Unfortunately, you’ll have to wait another 11 months and 15 days for that holiday to come back around. However, luckily for you, these would also be great for Memorial Day which is only 7 days away! Hooray for days off of work where we can celebrate our great nation and its military, while swimming in the lake and eating good food! This recipe is super easy to make and is also easy on the wallet, using only a few ingredients, most of which you probably already have. 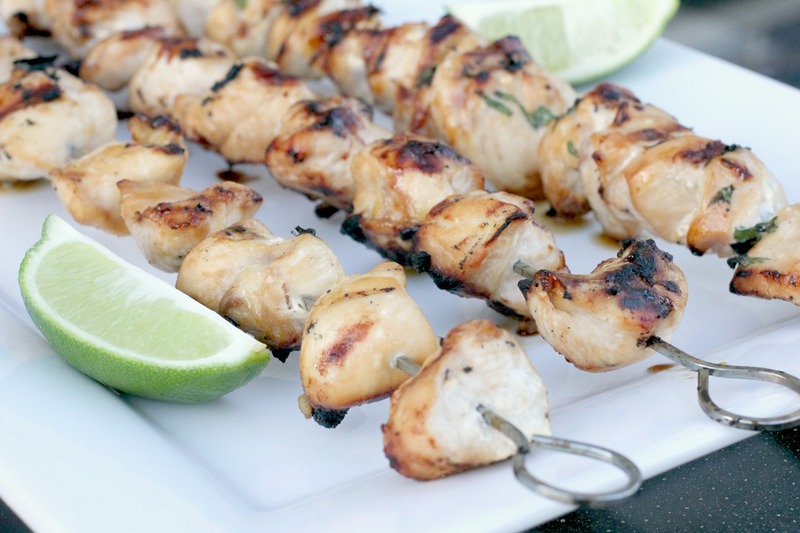 You could also mix things up by using the same marinade recipe on shrimp instead of chicken. In a small bowl combine all ingredients except chicken. Grill on medium heat for about 8 minutes on each side, or until juices run clear. This looks just the thing for dinner at our place, even though it’s autumn here and pretty chilly of an evening. I might grill inside, though! That’s exactly how my guy is! I’d hate standing out in the rain, but he doesn’t mind I’m thankful he loves it, and that he’s good at it!